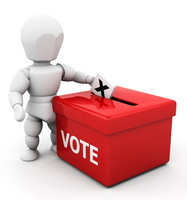 Ottawa Election 2014 – What’s important to you? 2014 is an election year and your vote will help decide who leads our city into the future, so please take a moment to let us know what is important to you by taking a quick election survey. Your answers will help guide our work over the coming year. Ecology Ottawa will be working with like-minded people across the city to encourage candidates to show environmental leadership and your feedback will help guide our work. We’ll be looking for politicians who take strong positions for a sustainable city. Please take a few moments to answer eight questions about your local environmental priorities. We’ll keep you up to date on the issues you care about most.